There is nothing that we like better than a fabulous pulled pork recipe. 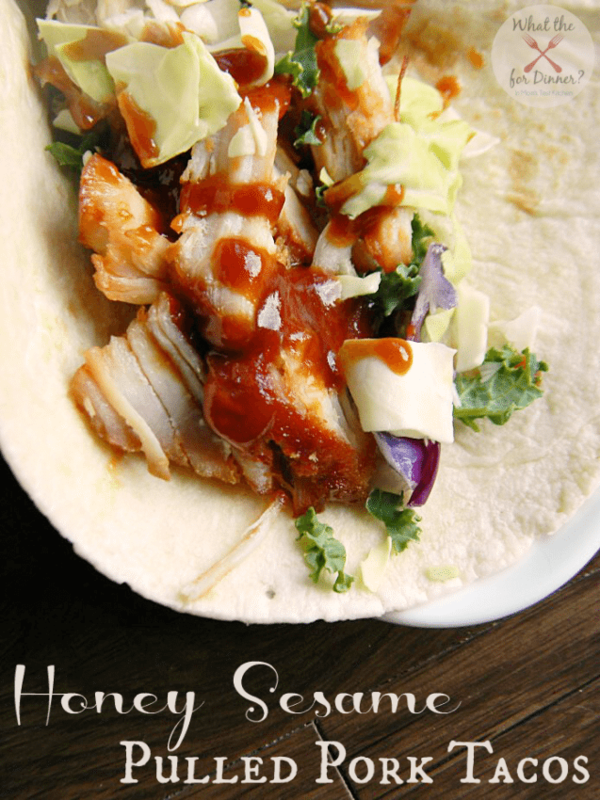 But, what if I told you that this recipe kicked up a couple of notches and made a family favorite of Tacos. Yep, you read that right. TACOS! Traditional pork ribs get an Asian fusion in these deliciously moist Honey Sesame Pulled Pork Tacos. Never thought about making Asian-style tacos with pulled pork. Definitely a recipe worth trying! This recipe is calling to me! I need to try it! And the fact that it is made in the slow cooker…even better! Trackback from Do your meals need inspiration? Then our Meal Plan is for you!